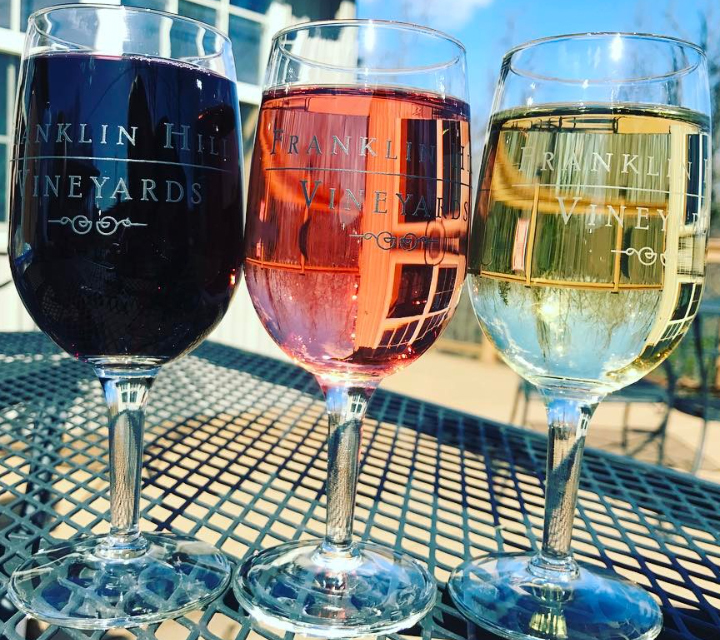 Franklin Hill has grown from 3,000 barrels per year, to 60,000 per year. 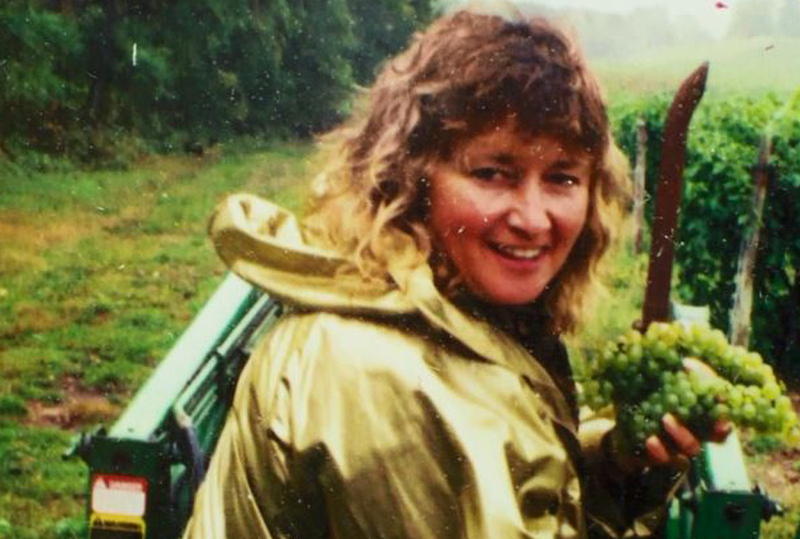 In a world where technical details are championed, Bonnie’s approach to winemaking is simple and empirical. 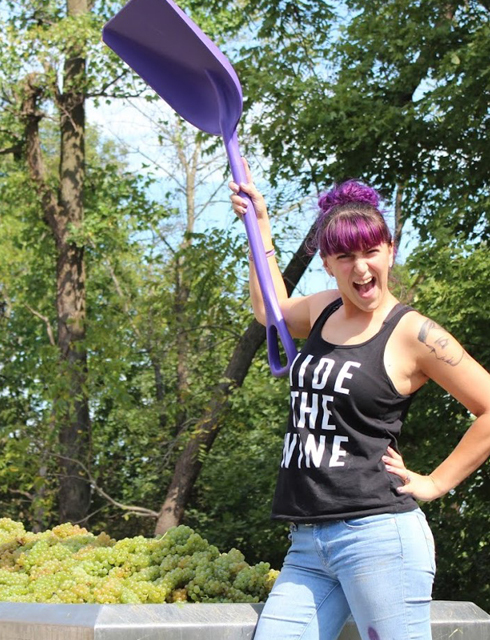 Bonnie has a bubbly personality, so it’s hard to imagine her being shy the way she describes. 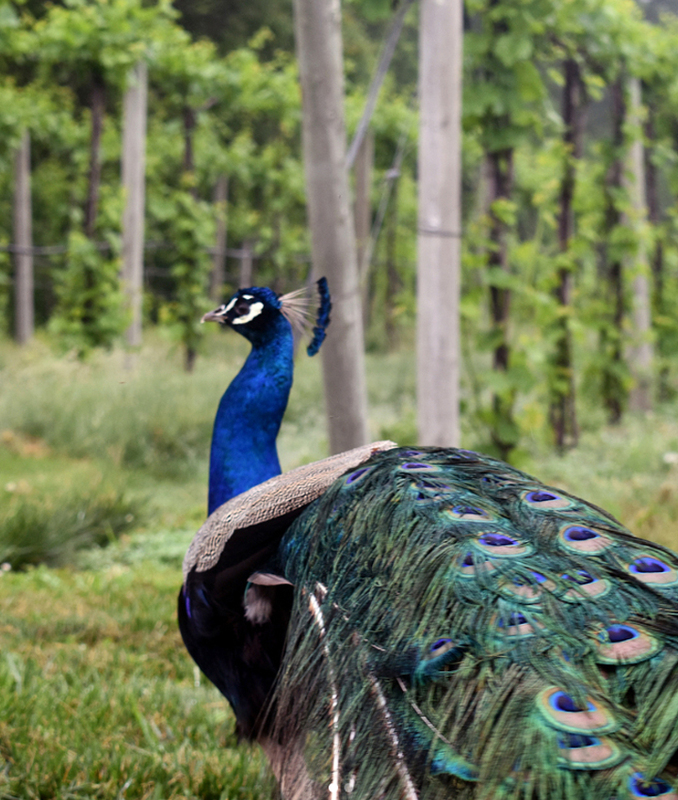 When she started at the winery, Bonnie confides, she was hesitant to interact with retail customers and wanted to “hide in the back.” Things have changed; today Bonnie is charmingly brazen (but never brash) with a grace and congeniality that are immediately likeable. 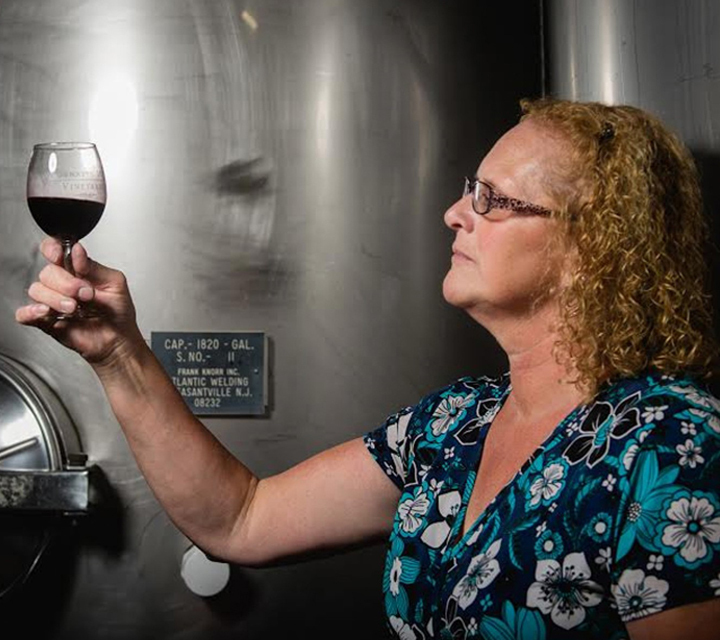 Winemakers like Bonnie elevate the quality of Pennsylvania wines by beginning with the end in mind. 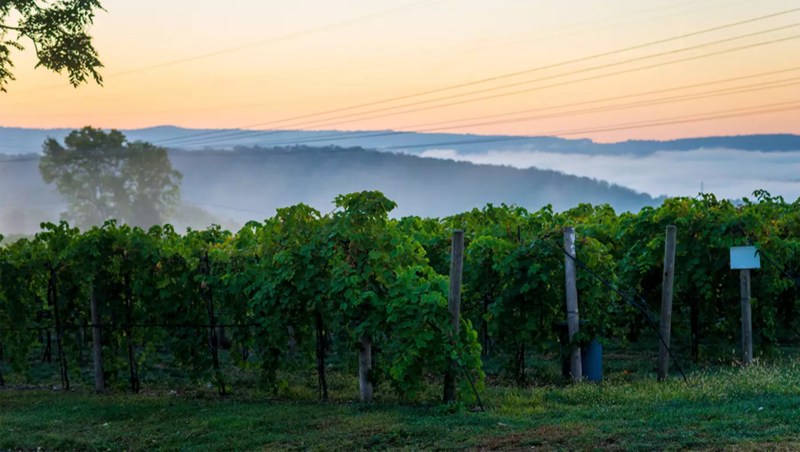 By growing the right grapes for the given terroir and doing everything possible to nurture the fruit for a stellar harvest, Pennsylvania winemakers excel at crafting finer wines from start to finish. 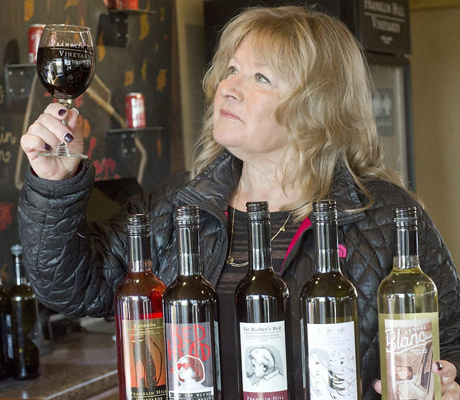 It’s clear that Bonnie and her team have found the right grapes: a visit to the tasting room quickly makes it clear why the winery has grown so much and won so many awards. For four decades, the commitment to crafting wines of distinction has remained at the heart of the Franklin Hill Vineyards philosophy. 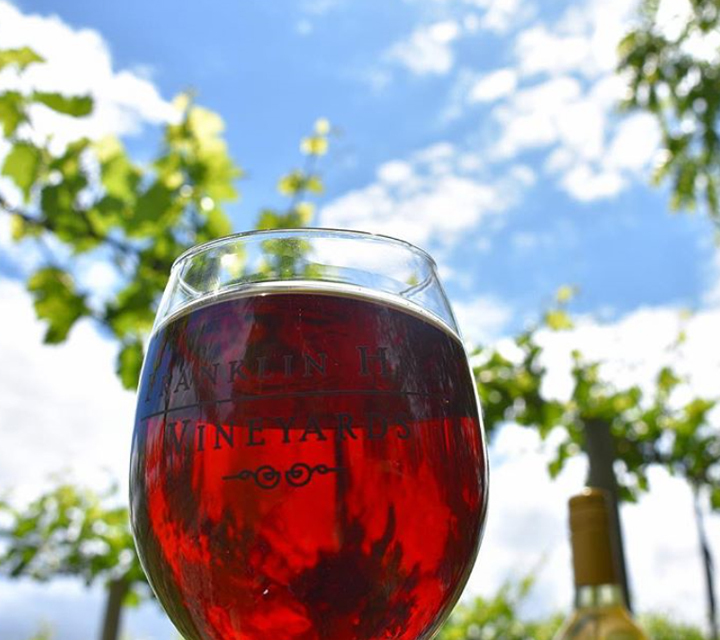 As its Bangor, PA estate property continue to mature under Bonnie’s stewardship, the winery will continue creating world-class wines from our exceptional vineyard. 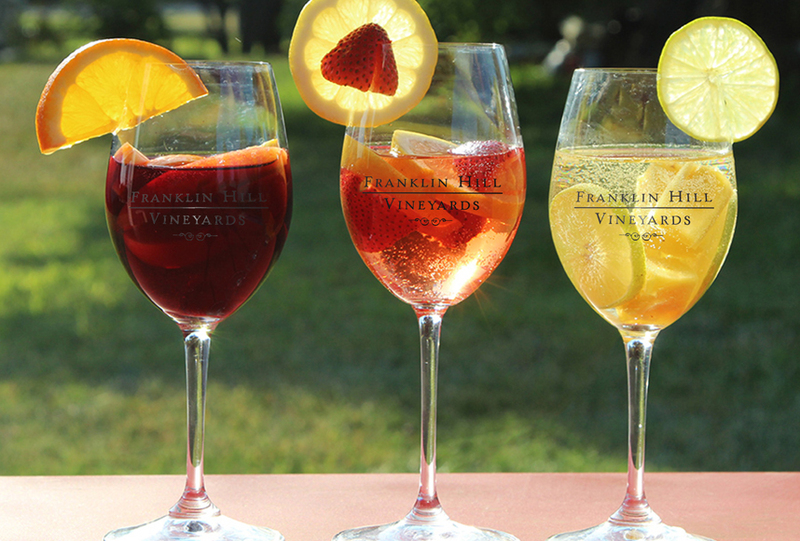 The quality of Franklin Hill Vineyards wines has always been based on a commitment to selecting the finest fruit. 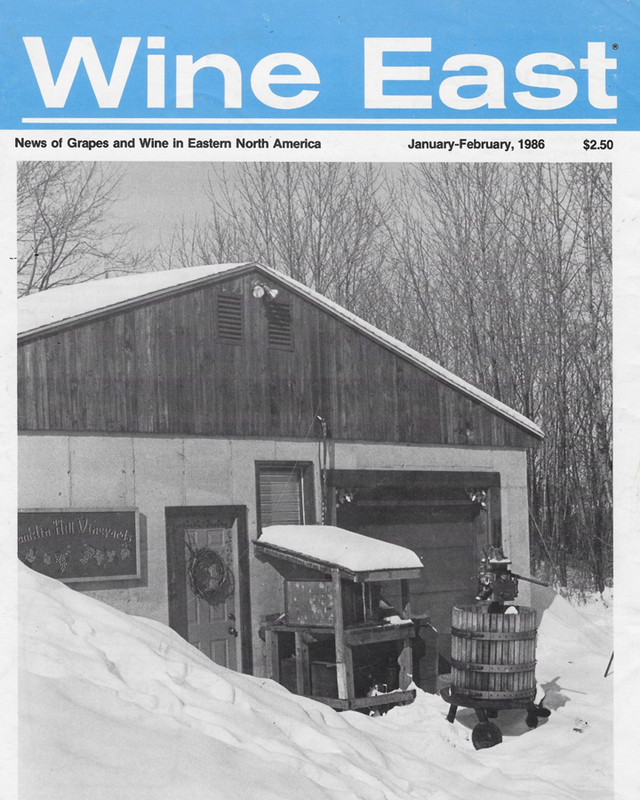 Committing itself to establishing a world-class estate vineyard program, the winery was built on the belief that great wines begin in the vineyard. 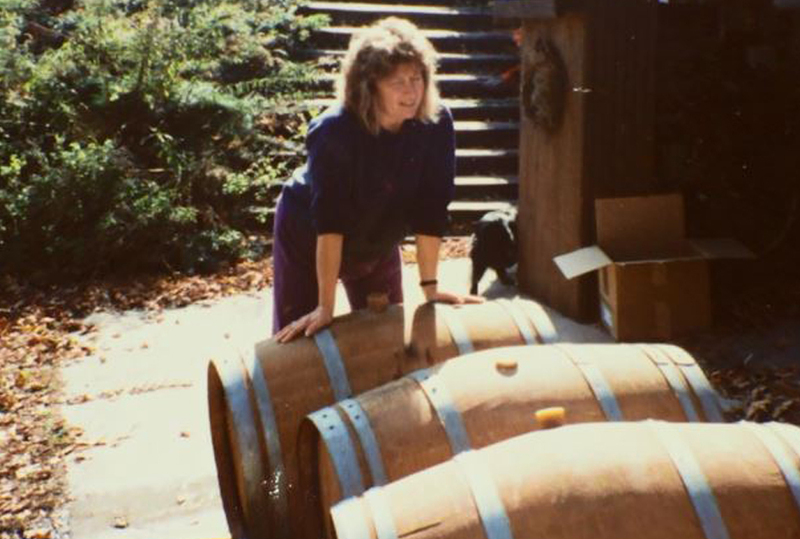 Dedicated to making classic Pennsylvania wines and “fun” wines that reflect the unique character and quality of our vineyard, Bonnie strives to understand the needs and opportunities presented by each specific terroir and microclimate. 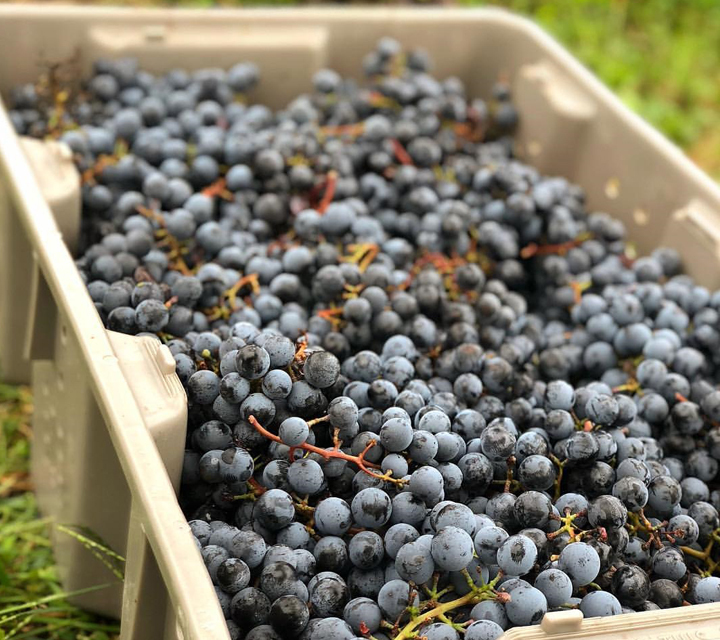 By approaching each vineyard block individually, Bonnie’s goal is to harvest when the flavors have reached their peak and the tannins are at their softest. 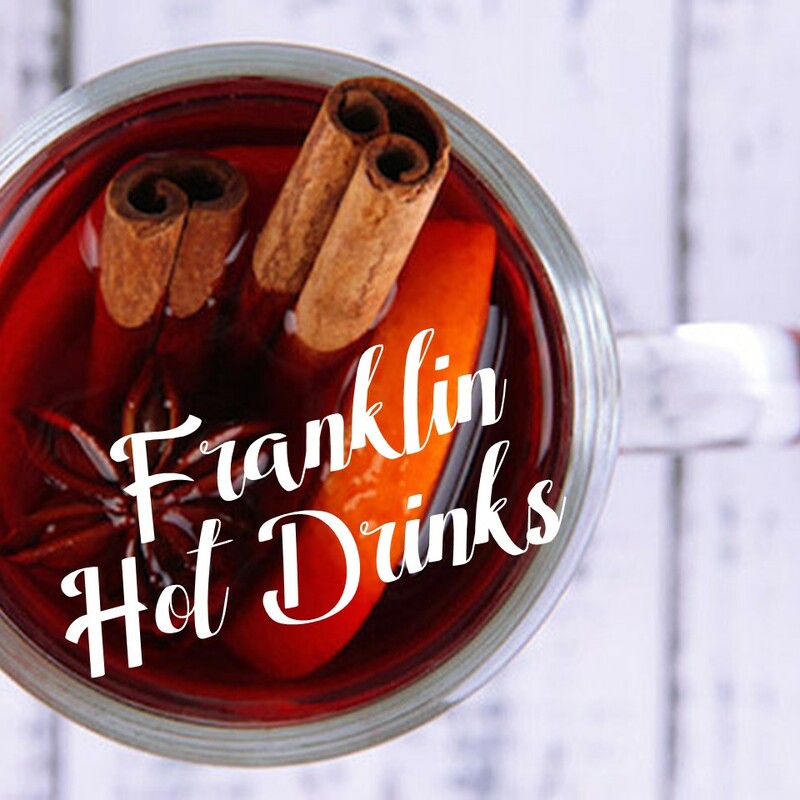 Franklin Hill Vineyards’ staff has an excellent taste for unique cocktails for every season. 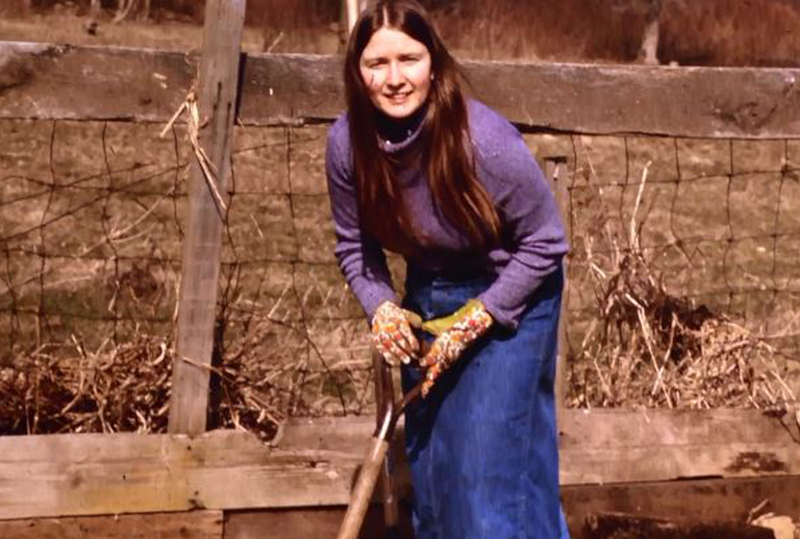 When the harvest comes, so do the new recipes! 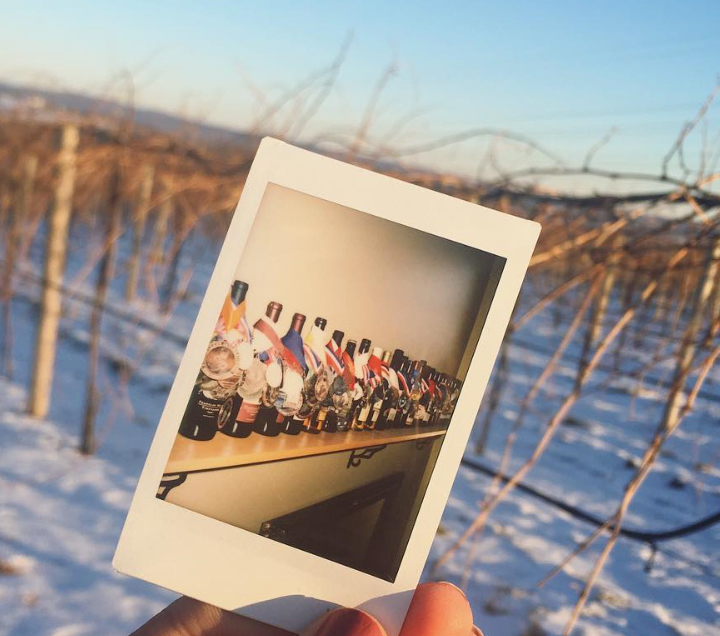 Wine paired with spirits, fruit and more decorate Franklin’s Instagram feed and are eagerly anticipated from fellow wine lovers. 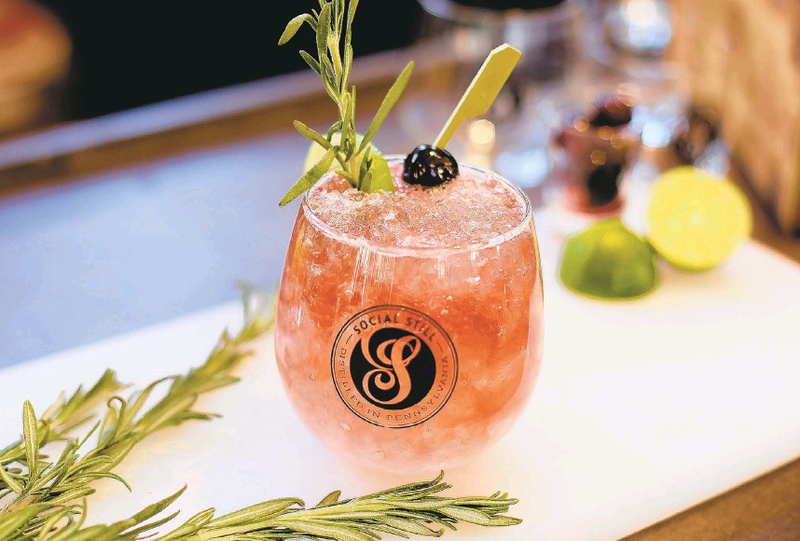 There is never a dull moment of cocktail making at the Vineyard! For four decades, the commitment to crafting wines of distinction has remained at the heart of the Franklin Hill Vineyards philosophy. 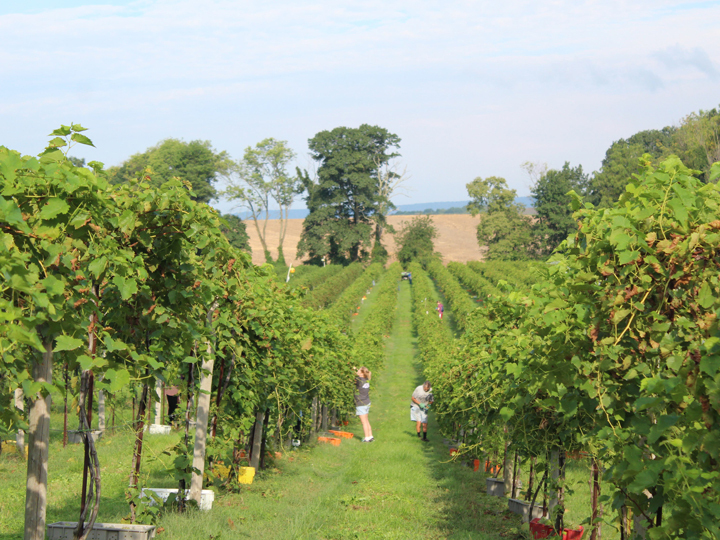 As its Bangor, PA estate property continues to mature under Bonnie’s stewardship, the winery will continue creating world-class wines from our exceptional vineyard. After the long winter, the ground thaws and buds appear on the previously bare vines. They begin as hard knobs, and slowly grow larger with a spider web-like protective coating. But then…all at once…the buds break free and rapid growth begins. 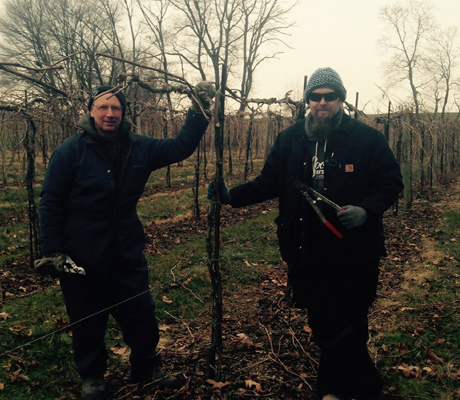 When Spring arrives, the tying of the vines begins. 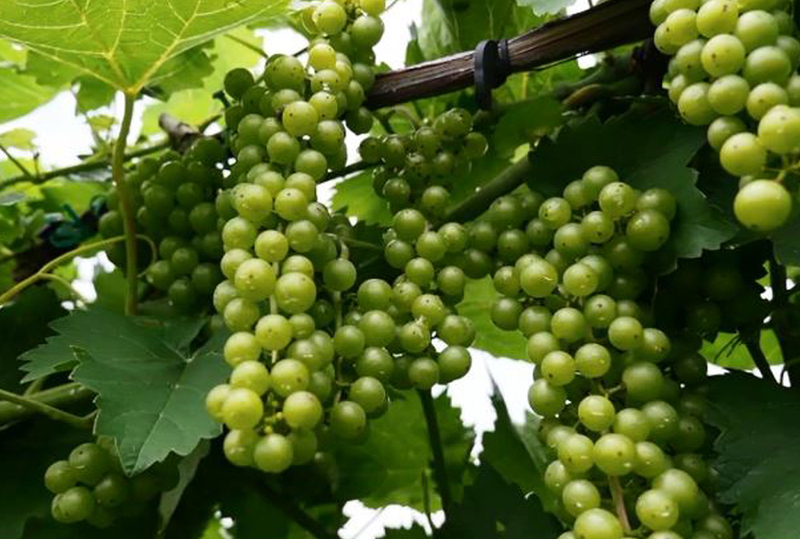 Vines are attached to the trellis, and support clusters of grapes as they grow. 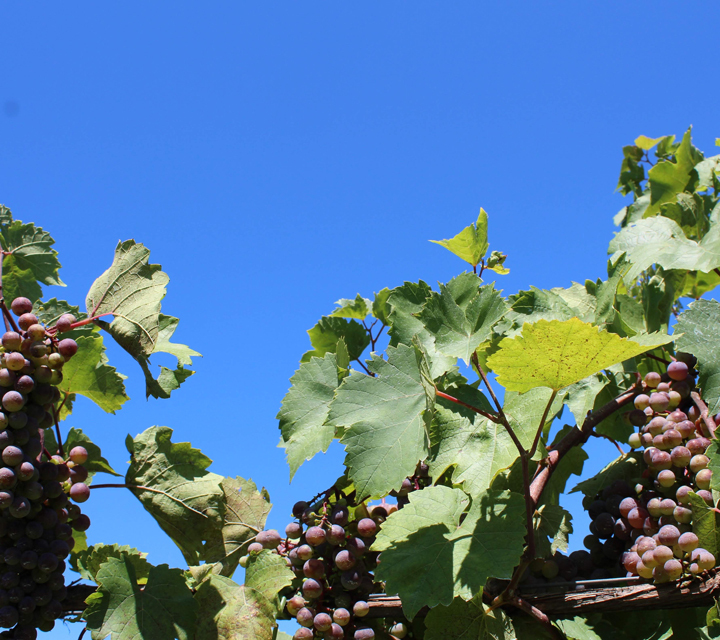 After the buds blossom into fruit, some of the clusters must be trimmed away. 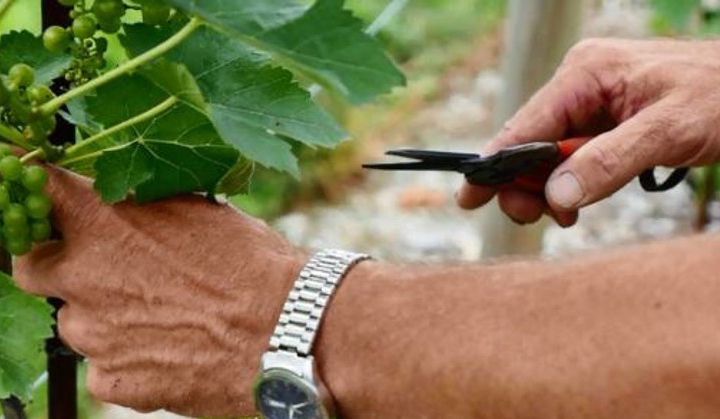 The thinning process promotes stronger vines and sweeter grapes. It is a long, careful process. 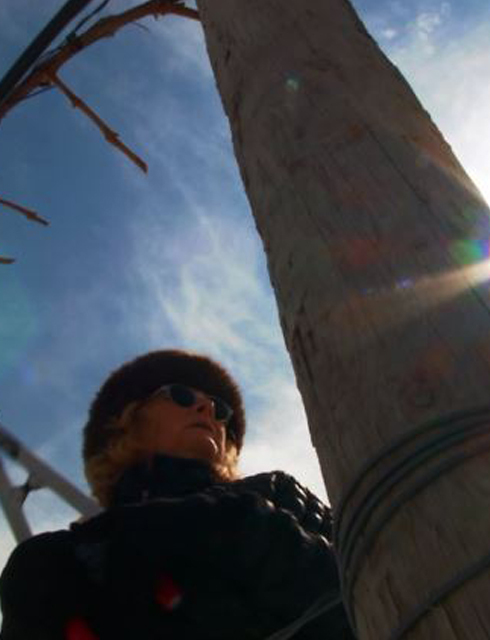 Throughout the Summer, the vines soak in the sunshine and the warmth, casting their branches out along the wires, and wrapping around them to support the swelling fruit clusters. 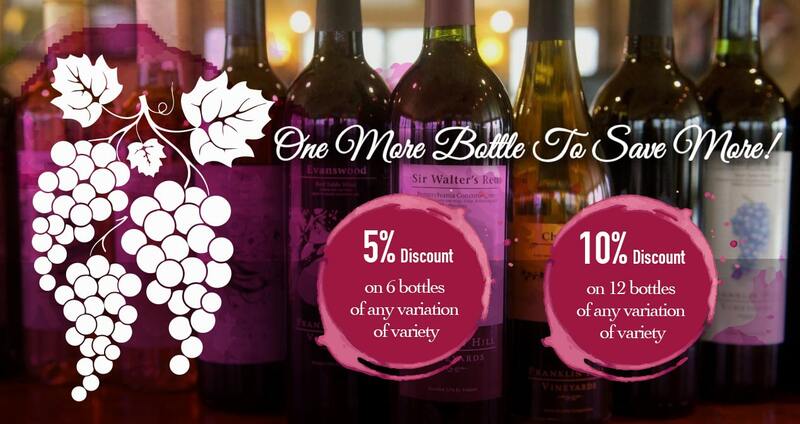 The grapes grow large and their color blooms. 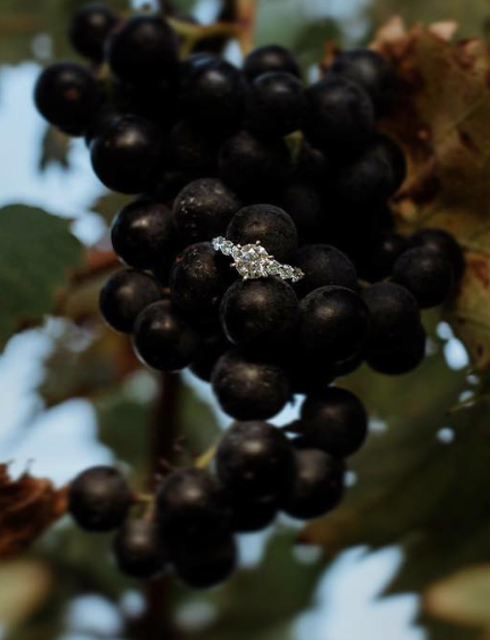 Every fall pickers make their way down the lush vines at Franklin Hill. 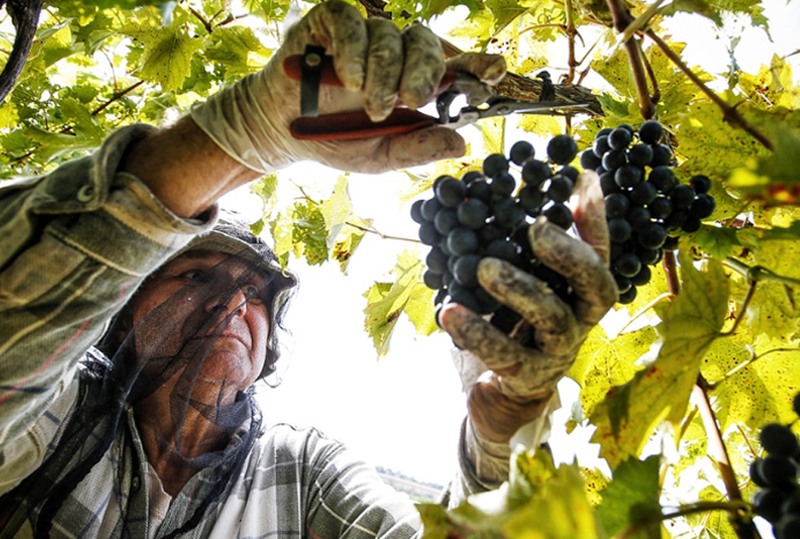 It takes a team of 14 pickers to harvest 85 tons of grapes. 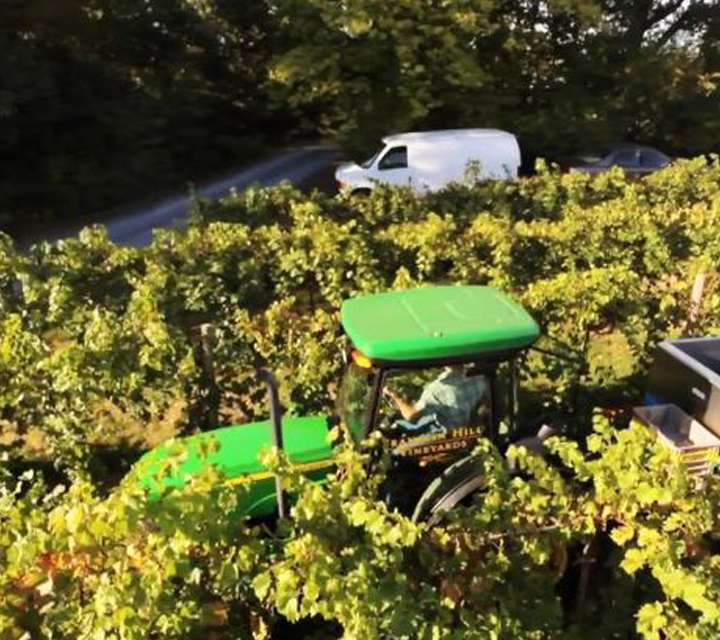 After the grapes are picked, they are loaded up onto a cart and taken back to the winery. The grapes are run through a machine that removes stems and crushes the grapes. White grapes are immediately crushed, but red grapes are pumped into a bin to ferment with the skins. After a week, the fermentation process is complete. The mix is moved from the bin to the press. 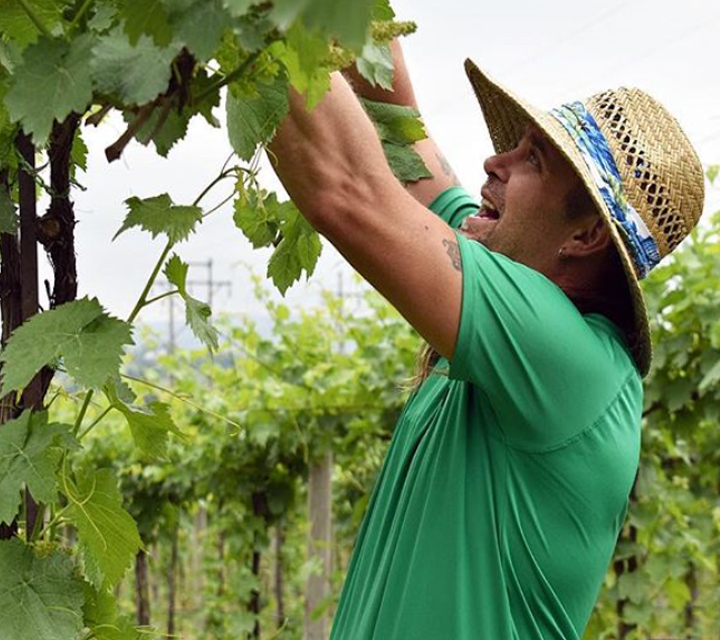 At this point in the process, the winemaker takes over…using different techniques and ingredients to make Franklin Hill’s variety of wines. 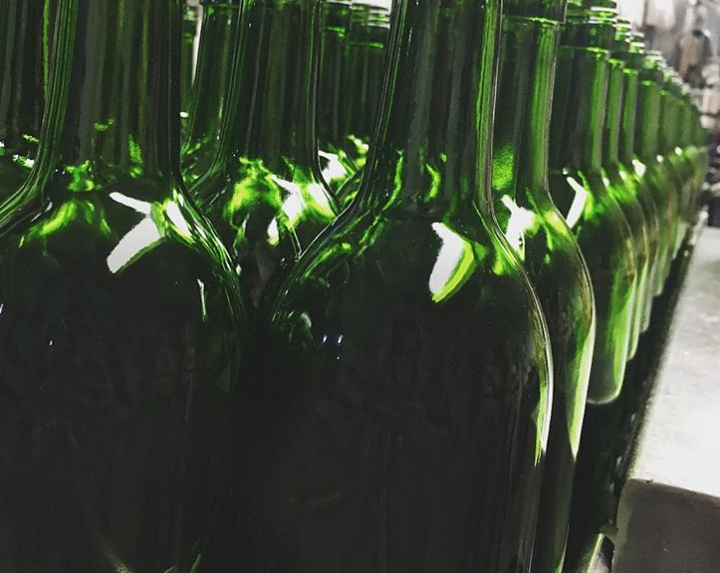 Once the wine is perfected by the winemakers, bottles are lines up like soldiers in line waiting to be filled, sealed with a cap, labeled and boxed up. 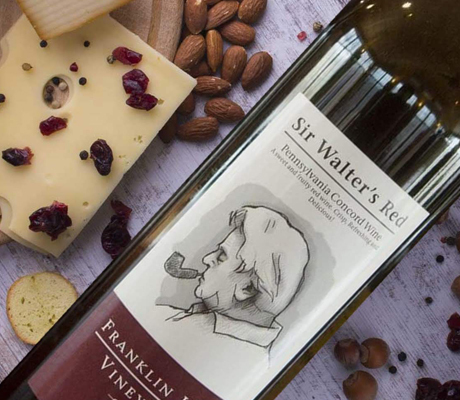 The wine is shipped to stores statewide, or showcased at festivals where the newest members of the sisterhood help wine lovers stock up on their favorites, and discover something new.